Probably one of the most beloved Christmas stories in history, Charles Dickens' A Christmas Carol has it all: heroes, villains, ghosts, time travel, long-lost love, and a happy ending. With worldwide appeal, this story continues to captivate generation after generation. 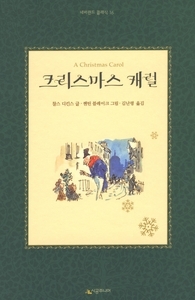 Since it was originally published in 1843, A Christmas Carol has become an irreplaceable part of our culture. Stephen Krensky's careful abridgment of Dickens' words is complemented by new artwork by one of today's best-loved illustrators, Dean Morrissey, the author of Ship of Dreams and The Christmas Ship. This is an edition of A Christmas Carol that will certainly become a classic in its own right.